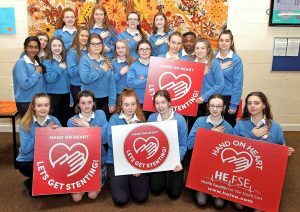 WATERFORD will take their fight for 24/7 cardiac care to Dublin once again, on Saturday, April 13, and campaigners are calling for a “large convoy” to travel from Waterford. Donie Fell, Secretary of UNITE in the Community Trade Union is also calling on a big turnout, “especially in light of the latest revelations”. The Dublin protest takes place on Saturday, April 13, assembling at the Garden of Remembrance, Parnell Square at 1.30pm. The Waterford Council of Trade Unions are organising transport, which will leave the Forum on the Glen at 10am. Those wishing to travel can contact the Unite Office on 051 875438 to secure a seat.